The restored Bourbon King Charles X continued the rue de Rivoli eastwards from the Louvre, as did King Louis-Philippe. Finally, Emperor Napoleon III extended it on into the 17th-century quarter of the Marais (see: Right Bank). Beneath the rue de Rivoli runs one of the main brick-vaulted oval-sectioned sewers of Paris' much-imitated system, with its sidewalks for the sewerworkers. North of the rue de Rivoli, at the point where the Grands Boulevards crossed an enormous new square, the new opera house was built. The Opera Garnier is a magnificent monument to the construction of the Second Empire. Just behind the opera house can be found the largest department stores, like the Galeries Lafayette and Printemps. 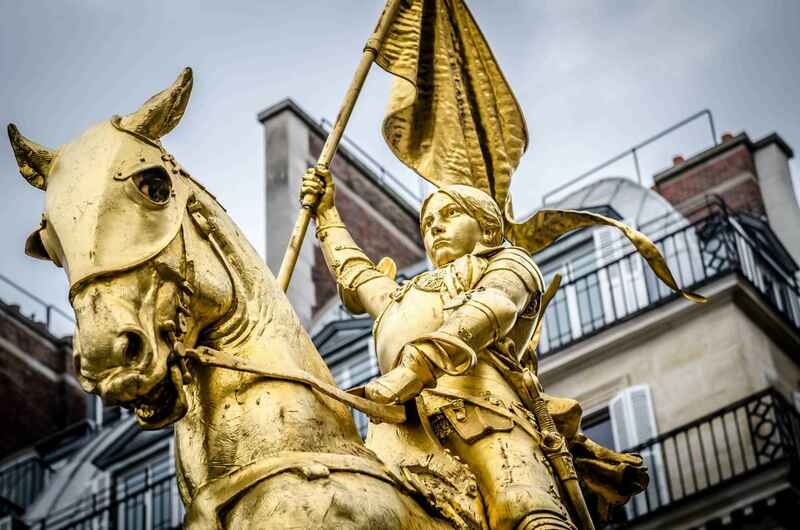 East along the rue de Rivoli, at the Place des Pyramides, is the gilded statue of Joan of Arc situated close to where she was wounded at the Saint-Honoré Gate in her unsuccessful attack on English-held Paris on September 8, 1429. A little further along, towards the Place de la Concorde, the rue de Castiglione leads to the Place Vendôme, with its Vendôme Column surmounted by the effigy of Napoleon Bonaparte. He began the building of the street in 1802; it was completed in 1865. A plaque at no. 144 commemorates the assassination there of the Huguenot leader Admiral Gaspard de Coligny in the St. Bartholomew's Day massacre of 1572. Place des Pyramides is a public square in the 1st arrondissement of Paris, France. 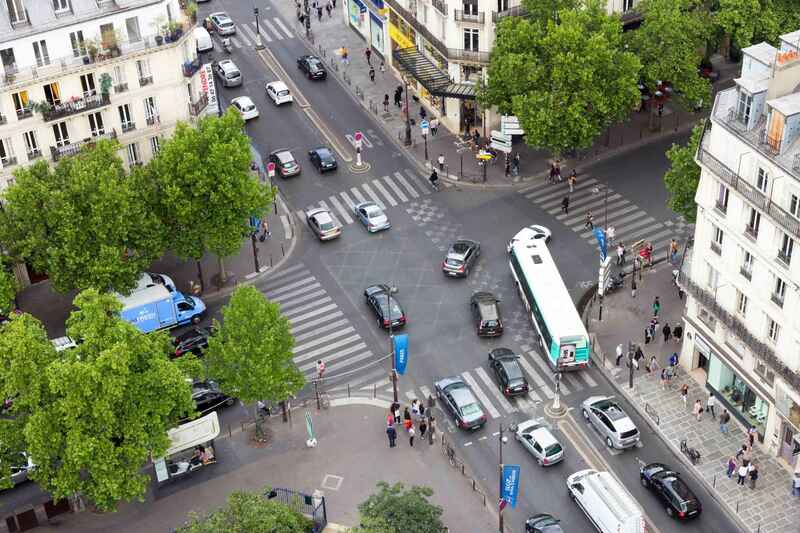 It is located in the middle of the Rue de Rivoli, at its intersection with the Rue des Pyramides and Avenue du General Lemonnier, at the western end of the Tuileries Garden. The square was named for the street, Rue des Pyramides, and the street was named for the Battle of the Pyramids, a Napoleonic victory achieved in Egypt in 1798. Rue de Rivoli | eTips Inc.